Founded in Australia in 1978 by beauty therapist Lydia Jordane, Lycon is a highly trusted brand among professionals in the industry. Lycon is trusted as the top of choice wax for spas and salons in over 57 different countries. Our secret wax is formulated with best natural resins, bees wax and sensuous aromatherapy; it delivers exceptional results even eliminating stubborn hair as little as 1mm. Lycon's low temperature wax is super pliable and tender on the skin for the greater good of the client. Lycon is recognized worldwide for its high quality products and professional integrity. 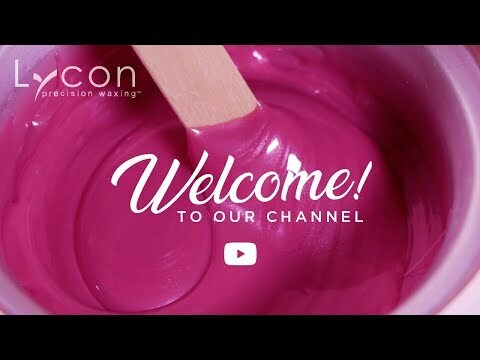 Our range consist of: hot wax, strip wax and LYCOJET with many exciting colors and scents and accompanied with LYCON’s before and after waxing lotions. LYCONspa Specialist Body Care offers corrective solutions for home use, in between salon treatments.